China, whose lunar ambitions have only expanded in the last few years, has finally joined the United States and Russia in successfully landing a spacecraft on the Moon. The country’s Chang’e-3 unmanned spacecraft, launched two weeks ago, landed on the moon today, the first craft to "soft-land" on lunar soil in more than 30 years. The Chang’e-3 probe, named after the lunar goddess said in Chinese folklore to live on the moon, is carrying the Yutu — or Jade Rabbit, the goddess’ companion — lunar rover, a six-wheeled, solar-powered buggy armed with four cameras and two mechanical arms designed to dig for sample soil on the Moon’s surface. According to China’s official Xinhua news service, the pair now rest in the Moon’s unexplored Bay of Rainbows region, which China has been eyeing as a potential landing site since 2010.The Yutu rover will now spend the next three months searching for resources, as its progress is monitored by Chinese controls centers aided by the European Space Agency. A soft landing, or landing without any damage to the craft or its equipment, is no easy task. In fact, as China’s lunar program’s chief designer Wu Weiren told Xinhua, it’s the most difficult part of the mission. 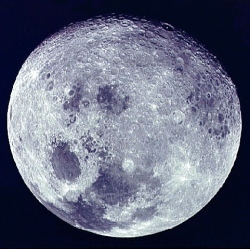 The last craft to land successfully do so was the Soviet Union’s Luna 24 probe, which landed in the Moon’s Sea of Crisis in 1976.